Super easy-to-use biology diagram software to draw biological diagrams and illustrations. 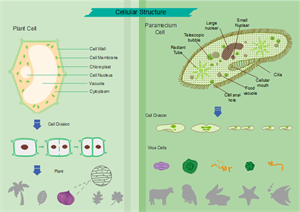 Start from high-quality biology diagram examples to facilitate your biology drawing. Biology is the natural science that involves the study of life and living organisms. 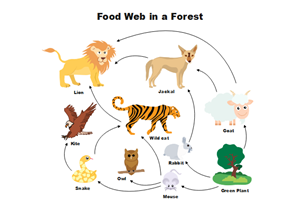 Biology diagram and illustrations are widely used in science and education activity to present the physical structure, chemical composition, function, development, and evolution. 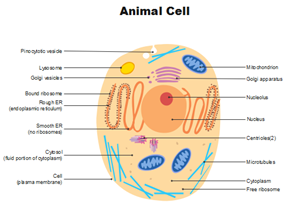 The biology diagram and illustration software is developed to facilitate your biology drawing. Extended with professional biology solution, this biology diagram software offers a set of useful tools for the fast and easy drawing of various biology illustrations and drawings. With the set of easy but efficient tools such as the grid, rules, and guides, you can easily rotate, group, align, arrange the objects, use different fonts and colors to make your diagram exceptionally looking. Such a biology diagram is clearer and easier to edit than a hand-drawn one on a piece of paper, and it benefits a lot in sharing and presentation. Biology is closely and deeply involved in diverse life happening every day. The powerful science diagram software provides libraries of quantities of vector symbols concerning not only biology but also physics, chemistry, laboratory equipment, mathematics, and astronomy etc. Using symbols and illustrations from any of the category helps you achieve mastery of the biology subject through a comprehensive study. For teachers, using such science diagram software can definitely save time and improve class quality. It takes very little effort to customize the built-in biology symbols and illustrations with the help of drawing tools in Symbols tab. 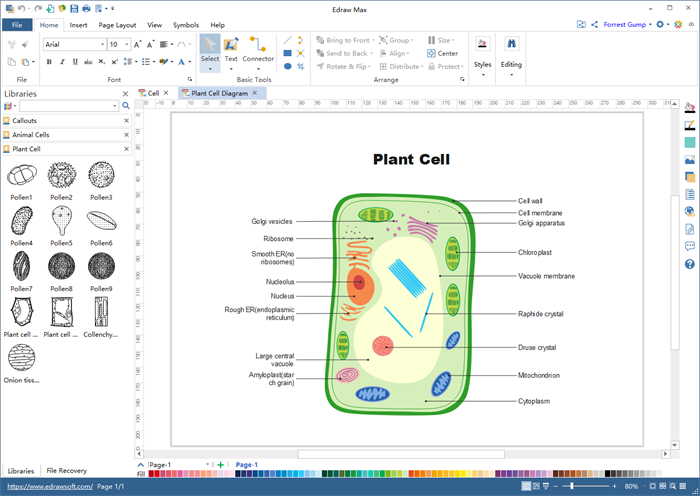 Playing these tools into full use make biology diagram creation easy and efficient. Support to insert hyperlinks, attachments, and notes at one click. Abundant and exquisite built-in biology symbols and predesigned examples. Handy basic tools for auto layout and alignment. Vector graphic files for converting to a variety of formats: image, HTML, SVG, PDF file, MS Office files such as PPT, Word, Excel, and Visio etc. 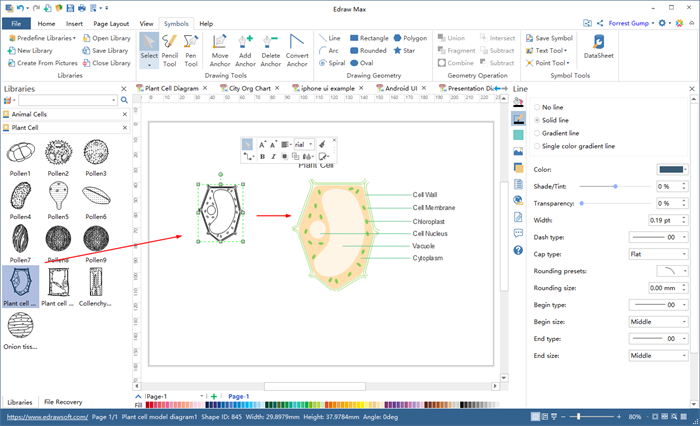 Versatile drawing tools to edit built-in elements or draw personalized biology symbols. Here are some predesigned biology diagram from our software. Click on the picture to download the vector and find more free biology diagram examples to inspire your biology drawing. More drawing tools and geometry operation are provided to customize biological illustrations to meet your demand.